England - Southern Legaue SS'2017/18 by bolid74 Relink! (14/10/17) - Not SSKCC yet! A small update to this pack. Weymouth has new away kit (white). Previous yellow away is now third. England - Southern Premier League SS'2017/18 by bolid74 Relink! (28/11/17) - Not SSKCC yet! 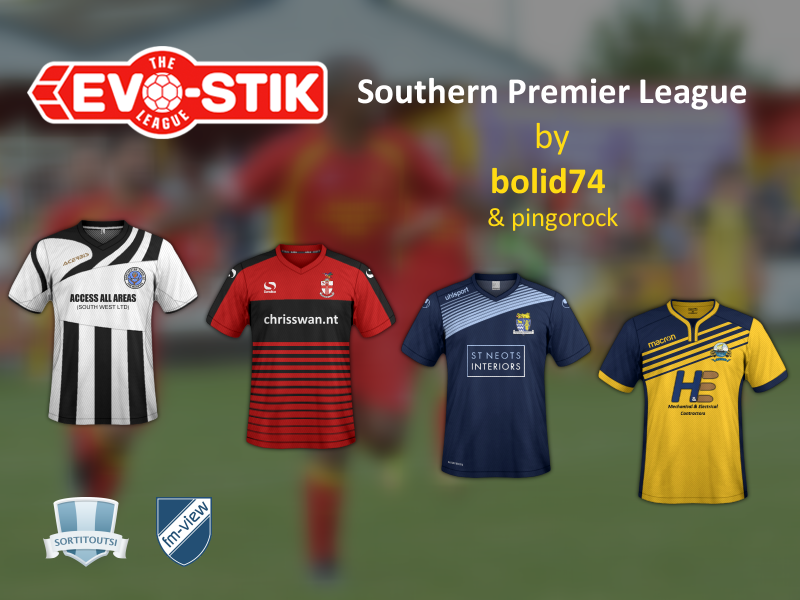 England - Southern Premier League SS'2017/18 by bolid74 Relink! (03/12/17) - Not SSKCC yet! I can have all the kits to work, except hereford how can it be? Have you try SSKCC? are you use FM17 or 18? here nothing wrong with this..
so remove your SSKCC18, remove your pack, go get latest SSKCC, and get download first post, then clear cache, reload skin and start a game. It seems official, but unfortunately I didn't find any match picture at the moment. I'll keep searching for it. Hope I'm not annoying with these update requests. It's not annoying at all, it's actually quite helpful. I like to keep my packs updated but it's quite tedious to follow all those leagues. 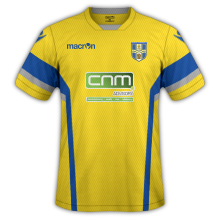 Here's new Kettering 3rd kit. Or new away, who knows. 3D kit will follow after we see it in action. Thank you again @bolid74! So kind and willing man. Top quality kit as always! Really nice to see some high res kits at these levels! Oof that's a lovely kit, might have to do a save down in Kettering, get them back up the leagues a bit, used to be a solid Conference team - and top work as always Bolid! England - Southern Premier League SS'2017/18 by boild74 Relink! (08/01/18) - not SSKCC yet! England - Southern Premier League SS'2017/18 by boild74 Relink! (23/02/18) - not SSKCC yet! hammer9, I've downloaded this pack all kits work, except for Hereford?. I see that Morten Arne Mathiasen had the same problem in previous post. Yes I too have latest SSKC18 and I'm using FM18. Cleared cache and reloaded skin. No difference, still no show on Hereford. just make sure you put right place in folder?, with this pack?, latest SSKCC? clear cache, reload skin and start a game.....if you want your save game, do in-game editor. Thanks for reply hammer9, but still not working for me. Never mind it's only minor detail, all other kits from that pack work. Plus all other kit packs I've downloaded from you work. it should be working, better if you removed this pack and latest SSKCC, then download this pack again and latest SSKCC again. if you done this ....it should working. Are you also using 8 level leagues made by Frankthetank? 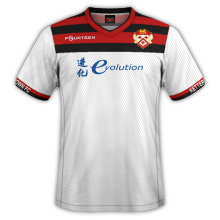 hammer 9, Still not working after deleting files (Southern Premier League kits) and (SSKCC) I had in there. Downloaded the files again and followed your instructions and put back in. I had most recent update for SSKCC file already anyway. Like I said in the last post, all of the other kit files I've downloaded work fine. Not to worry, because it is only a small detail. I'm not using any extra databases in editor data. 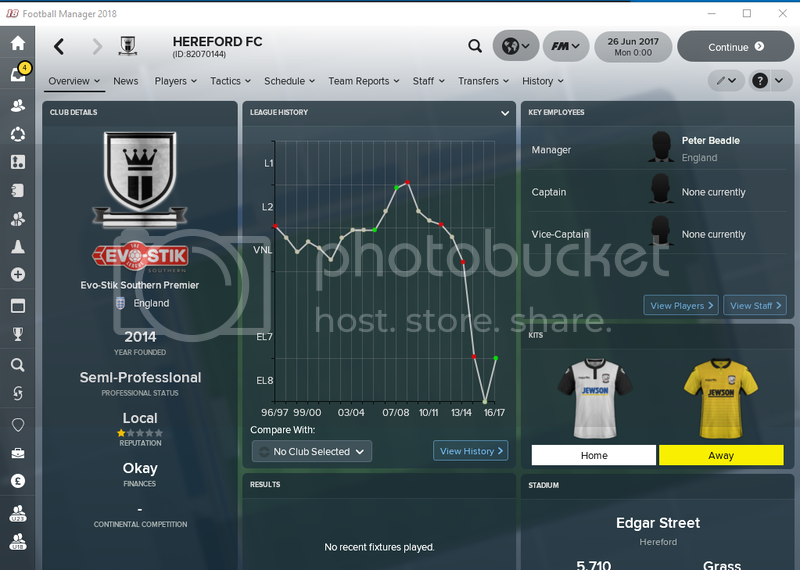 Just original Football Manager 2018 game. I'm asking because there is a known config error in one of Southern level 8 leagues (not made by me). Don't confuse it with level 7. 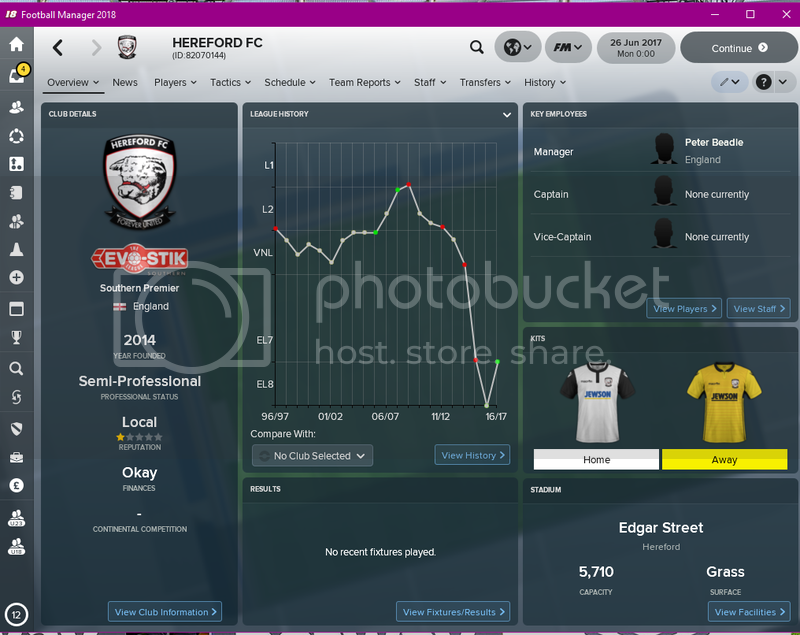 Hereford lines were left there from last season (they were promoted this year). Just delete those lines and restart game. bolid74, Yes I'm using that kit pack (level 8). 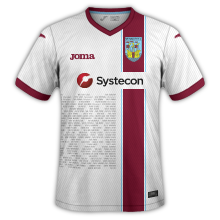 So I just delete Hereford home and away lines from Southern League West SS'17-18 config then. And everything so be okay then?. Thanks I will try that then, well spotted. Brilliant , works now, thank you very much.